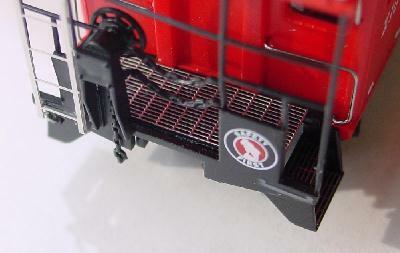 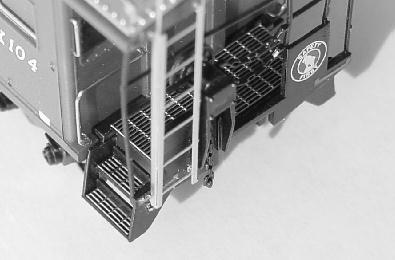 Just a few photos to show you what the platforms and steps look like after being added to an Atlas Caboose. 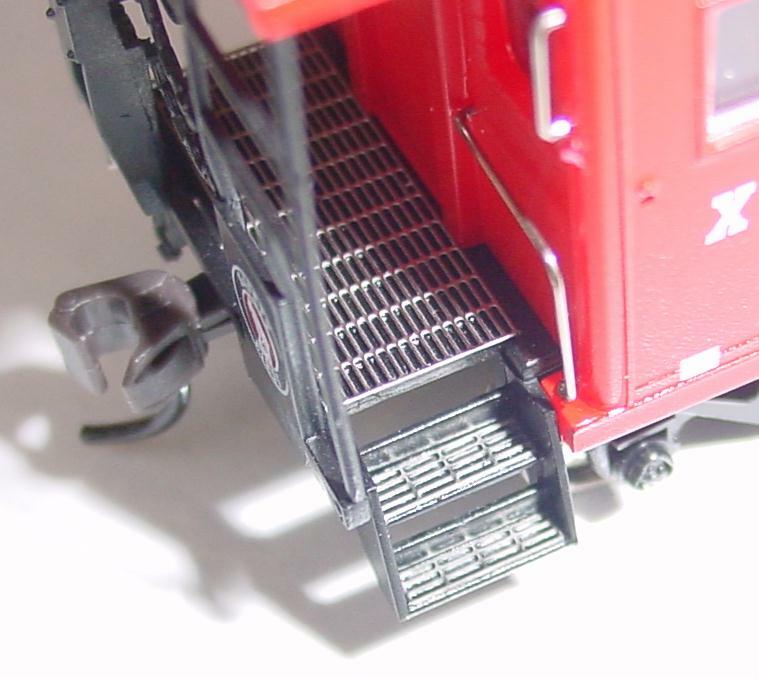 These steps were just glued to the top of the plastic steps. You could actually cut out the plastic steps and glue these in their place. What a great look that would have.